With a stay at Weeroona in Rye, you'll be a 5-minute drive from Rye Beach and 6 minutes from Pennisula Hot Springs. 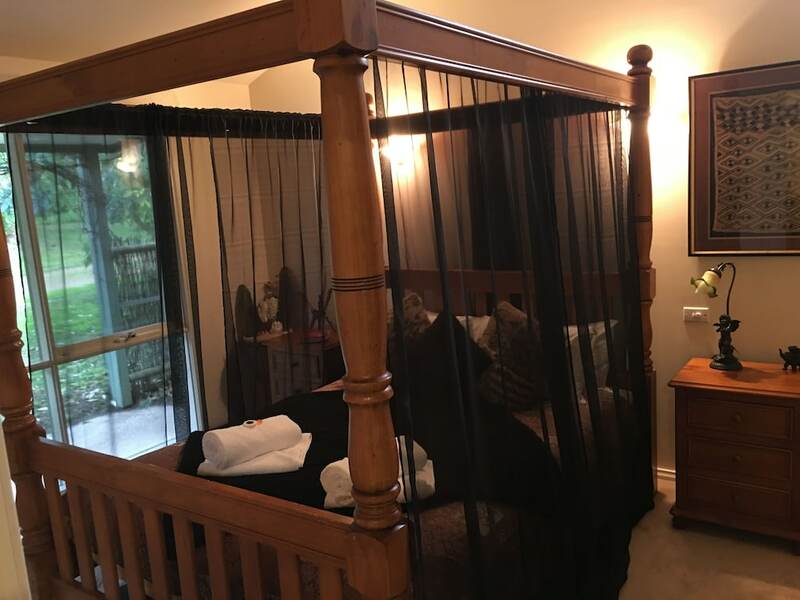 This 4.5-star bed & breakfast is 5.9 mi (9.4 km) from Sorrento Front Beach and 1.4 mi (2.3 km) from The Dunes Golf Links. Make yourself at home in one of the 5 air-conditioned rooms featuring private spa tubs and flat-screen televisions. Rooms have private balconies. Kitchens are outfitted with refrigerators, stovetops, and microwaves. Private bathrooms with shower/tub combinations feature jetted bathtubs and complimentary toiletries. Take time to pamper yourself with a visit to the full-service spa. If you're looking for recreational opportunities, you'll find an outdoor pool, a spa tub, and a fitness center. This bed & breakfast also features complimentary wireless Internet access and barbecue grills.